Welcome to my Professional Portfolio! On this page, I talk about some of the work I've done while being employed or as a consultant. For some projects, I go into more detail and cannot with other projects as it is confidential information that I would need to get permission for to talk about. However, if you would like to know more about them, do let me know and I'll see what I can do. Enjoy! This project was one of my first big ones while working at Emerson Canada as a co-op student. 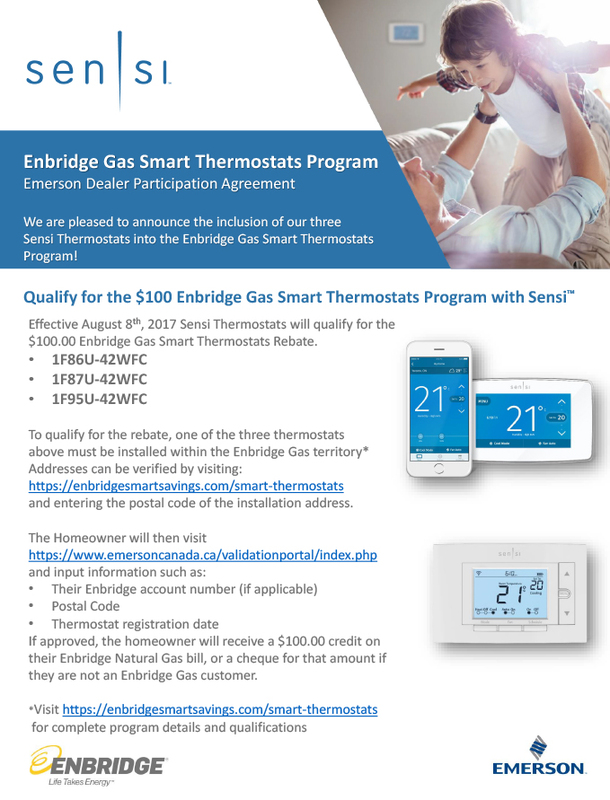 Emerson Canada had signed an agreement with Enbridge Inc. to include their SensiTM Smart Thermostat in the program that offered a $100 rebate to customers who installed and registered the thermostat after August 24th, 2017. The goal for this program was to get more customers to install smart thermostats in their home to save on energy. I was tasked with creating an interactive and professional Web Application that would take the customers through the registration process for the rebate. The Web Application also needed to have automation such as bi-weekly report generation for the customers that registered between a 2 week period which then would be uploaded to Enbridge for processing of the rebate. 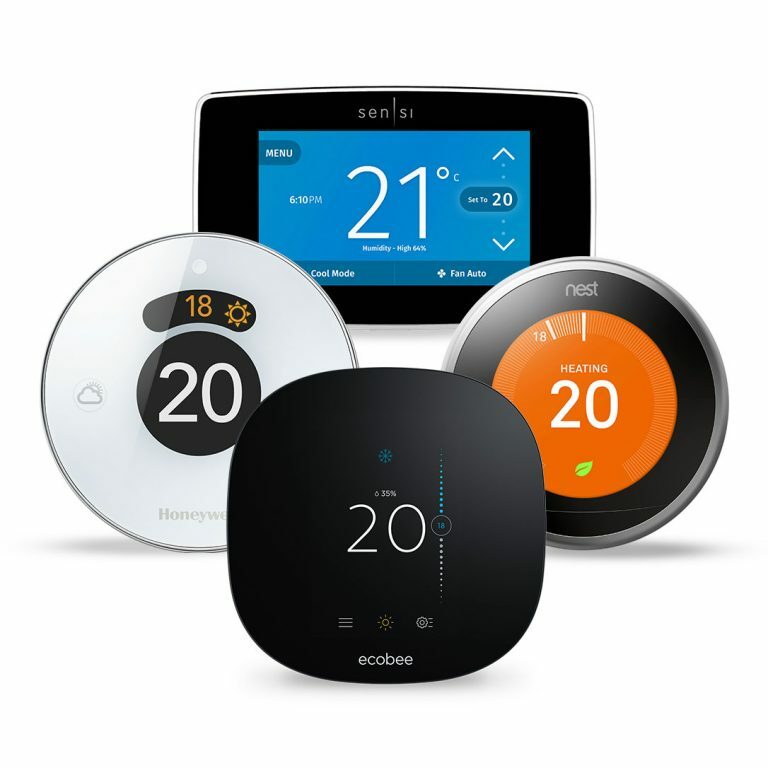 One of the biggest challenges was to validate if the customer had indeed registered a SensiTM Thermostat after August 24, 2017 on www.sensicomfort.com - the website where customers registered the thermostat to activate the geo-fencing and other mobile related features. This required communicating with Emerson's internal division who were responsible for looking after customer and thermostat data. In the end, I had to request access to a special API instance available to only specific people and integrate the connectivity into the rebate portal to solve the problem of having real-time customer thermostat validation. The connectivity itself was done using OAuth2 connection to a REST API Web Service. Along with the Smart Thermostat Project, this was also one of my first big projects at Emerson. In this one, I was tasked with creating a process in which rebate redemption would be sent to a customer by an internal employee (sales person typically) in the form of an e-Transfer. The sales employees usually do a sort of a promotion and one of the departments decided to do an Interac e-Transfer promo. This project started off as a simple Java process in which transactions given by the sales person would be translated into an XML format provided by RBC and then the file would be sent to RBC for processing the transactions. The process had to handle sending, receiving, and parsing multiple type of transaction-request and transaction-response XMLs to/from RBC. The challenges in this project were not only being able to migrate from one type of process to another, but also sending/receiving data to/from RBC. This challenge was resolved however details on how it was resolved could be confidential to both Emerson and RBC so therefore I cannot elaborate more without getting permission. In this project, I was tasked with creating an interface that would replace the existing payment automation system for the sake of efficiency and other internal system changes. The interface was created in Java and used XML files in terms of communication and data transfer. I cannot elaborate further on this project without getting permission as it contains confidential information that I might not have permission to talk about. In this project, I was tasked with creating an interface that would replace the existing expense automation system for the sake of new internal system changes. There were two parts to this project; to download a file via SFTP and decrypt it using a private key, and to parse the file so the information gets persisted into the ERP. I worked alongside another developer who worked on parsing the file while I worked on downloading it via SFTP and decrypting it. The interface I wrote was written in Java and used the JSCH library to enable downloads via SFTP and the BouncyCastle cryptography library to decrypt the file with a private key. The biggest challenge that I came across in this project was to decrypt the file using the BouncyCastle cryptography library as I didn't come across many other cryptography libraries for Java. Fortunately, the documentation was sufficient enough for my purposes and I overcame that challenge.